The Galaxy Active series lives on. A ruggedized Galaxy S8 has arrived and it's a bit more attractive than previous versions. 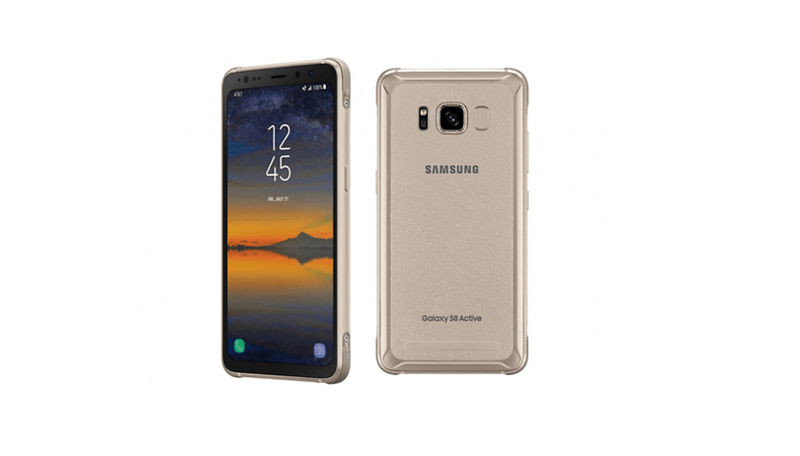 The latest rumor is that the flat screened, AT&T exclusive Samsung Galaxy S8 Active may be available on T-Mobile soon. The S8 Active is available for at AT&T for just under $850 in Meteor Gray and Tungsten Gold. This phone is an AT&T exclusive, for now at least. A Wi-Fi Alliance database entry was spotted that indicates the Galaxy S8 Active may be available unlocked sometime soon. The listed model number SM-G892U (U for unlocked), varies just slightly from the SM-G982A (A for AT&T). Now, there's a rumor that the device will be coming to T-Mobile. VentureBeat has reviewed marketing material that shows the T-Mobile S8 Active will come in the same gray and gold, just as AT&T's version. But, there's none of the usual signs in the FCC database that it will hit the shelves soon, so it could be months until T-Mobile customers can get their hands on one. We'll be keeping our eyes peeled for the SM-G892T, so check AndroidPIT for more information in the weeks to come. The S8 Active is the best looking rugged phone on the market. It's a rugged Galaxy S8, but what does that mean? It has most of the same specs, but also MIL-STD-810G certification and a 1,000 mAh larger battery. The device is water-resistant up to 5 feet of water for up to 30 minutes. The S8 Active also has a flat display rather than the curved Infinity Display. It's also notably less ugly than previous Active versions, but that's dependent on your taste, of course. What do you think of the S8 Active? Would you buy it? yep they did s8 active now onT-Mobile I got one it's very cool . I have heard rumors that it will not be AT&T exclusive this year, only at the launch so there may be hope for you. At least you might be able to get an unlocked version. That is if it is not region locked. When are you going to update this article ?? WHY is it that USA gets this ACTIVE phone exclusively ? There are far far more people in Europe who may want the Active--I for one don't like the infinity screen, would rather have the flat screen. About time Android Pit had a British and European section of this site- not that interesting reading about Usa stuff all the time. I agree, it would be great if the S8 Active were available in other countries. Androidpit. uk would be good. Just tried the German site- gets translated to English instantly. How do you know there are far far more? I just wish Samsung would make a removable battery variant. The active is defiantly an improvement over the standard, I hate curved displays. I also agree with other it should be open to all carriers not just AT&T which dislike. The word is "definitely", not "defiantly"
Are active phones good or bad in performance? I have meant in comparison with the regular one! Taking this with a grain of salt indeed. I find it hard to believe they would lower the screen resolution. I'm using the S6 Active still and if they actually lower the resolution on the s8 active, I'll be extremely disappointed. Also wondering how the battery capacity will compare to the S7 Active. If they can make it a little bigger, they might get me to upgrade. Especially if they realize that the micro-sd slot on the s7 active was a GOOD idea and keep it on this model. I also really enjoy the physical buttons. I never thought they were "unsightly" either. To each their own I guess. No external micro SD? No thanks. The rugged phones: falls, waterproof, dust, etc, are becoming increasingly frequent devices: and the agm are the best ones fir the PPR ( at least to me) ,,, and the quality in specs too is becaming something really to count on .. No more "dumbphones" apparently. Btw: have you seen the x1 18k gold edition? best looking Samsung Active so far..
and it shows that Samsung can do durable and practical..
i wonder how many devices they have to sell to justify the design and manufacturing.. and why don't they offer a global version.